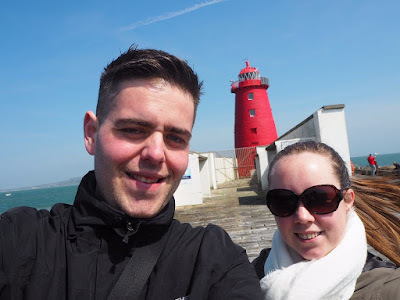 I have to admit for so long I wasn't all that impressed by Donal Skehan, I just didn't get it. I felt his cooking wasn't aimed at someone like me, I think most of his cooking was aimed at a younger audience or more beginner type of cooking which is fair enough. Although over the past year I have really enjoyed making some of his recipes on www.donalskehan.com, they are very accessible and make for very easy and in the most part quick cooking. 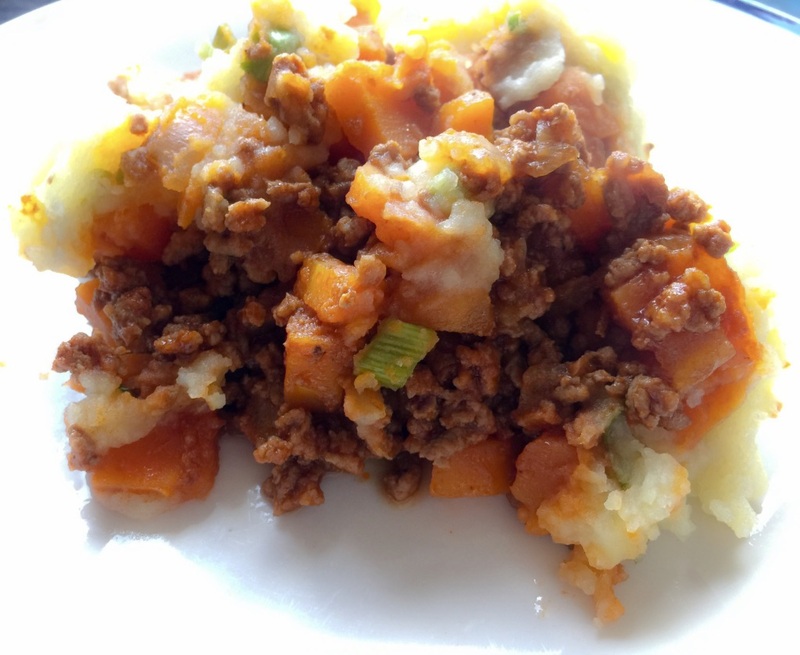 This recipe below has to be one of Joanne's and mine favourites to make, it is a bog standard cottage pie but it is bloody good. If you love good comfort food this is most definitely for you. 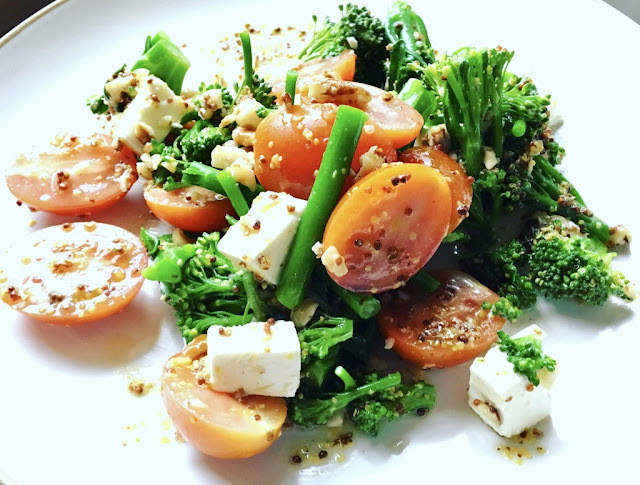 Give it a go you will not be disappointed and it is easy to make. Donal's Recipe is here: http://www.donalskehan.com/recipes/shepherds-pie-with-champ-mash/. 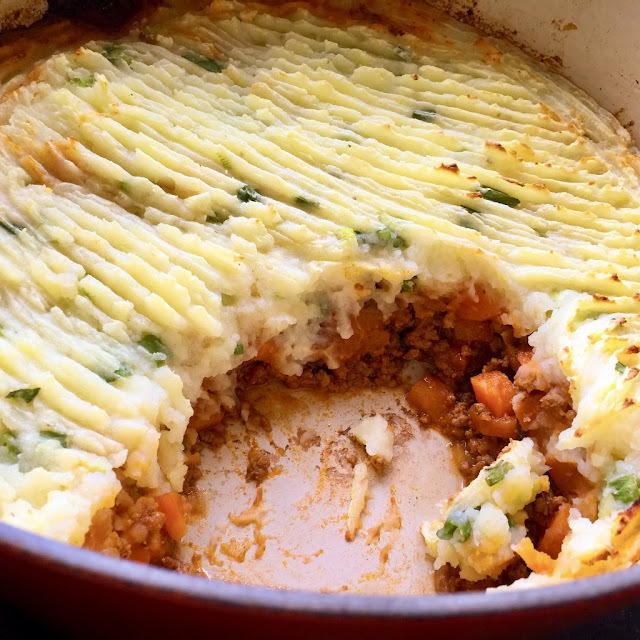 Donal's recipe is a Shepherd's Pie as he uses lamb but mine is a Cottage Pie as I use beef. Heat the oil in a big frying pan on medium heat and sweat off the onion for 5 minutes. Remove the onions from the pan, turn up the heat and add the beef, break up and brown for 5 minutes. Add the onions back to the pan with the beef stock, tomato puree and Worcestershire sauce. Stir and bring to a simmer, cover and cook for 40 mins. I used my Le Creuset pan for this whole process. Boil your potatoes until soft, and ready to be mashed. Remove from the heat and drain your potatoes. Mash with the butter and milk. Add in the spring onions and season with the salt and pepper mixing all in to smooth creamy mash. Preheat the oven to 180°C/170°C fan /350°F/Gas Mark 4. Transfer your beef to a pyrex dish or any oven proof dish, taste and season with salt and pepper. Top the meat with the mash and smooth over with a fork. Cook for about 25-30 minutes depending on your oven, ideally the mash should have slightly browning on top. Take out of the oven and serve.